The number one football helmet manufacturer in the world, was looking to add complementary product lines to its current mix of hardgoods products (helmets, shoulder pads, protective gear). 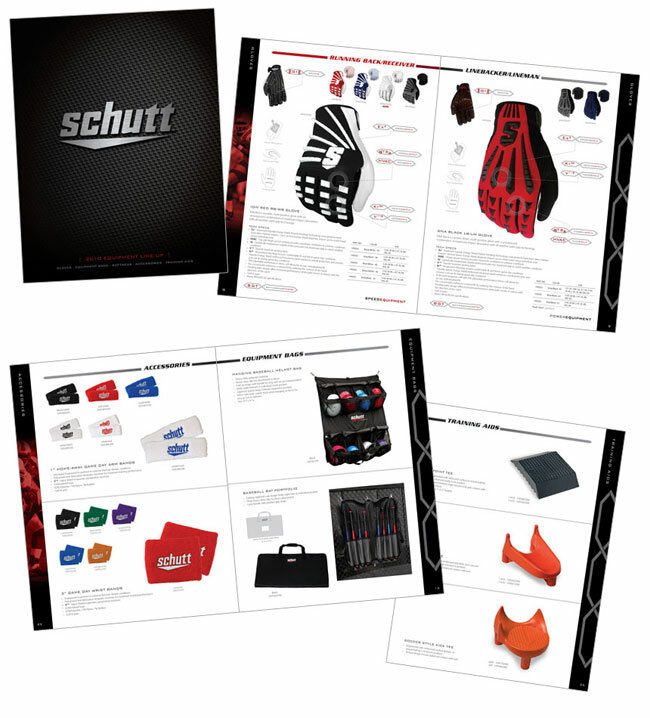 With elite NFL players, and NCAA teams, along with the majority of High School players wearing Schutt gear, a natural extension was to outfit the entire athlete. In addition to creating these product lines, we also executed the brand marketing strategies, sports marketing (NFL/NCAA), retail positioning, creative deck and in store merchandising/POP.